Bonafide Research had added a new research report "Global Mosquito Repellent Market Outlook 2023" in its wide database. It is anticipated to grow at a CAGR of 4.6% by 2023. VADODARA, India - Nov. 30, 2018 - PRLog -- The report segments the market and forecasts its size, by volume and value, on the basis of application, by products, and by geography (North America, Europe, Asia-Pacific, MEA and South America). A mosquito repellent is a substance that is applied on human skin, clothing or other surfaces that prevent mosquitoes from sitting or crawling on that surface. Wide variety of mosquito repellents are being used to keep them at bay and prevent mosquito-borne diseases such as malaria, dengue, chikungunya, yellow fever, Zika virus, and others. Popularly used chemical ingredients in the preparation of mosquito repellents include diethyl carbonate, ethyl hexane diol, N-diethyl-3-methylbenzamide (DEET), and diethyl phthalate. 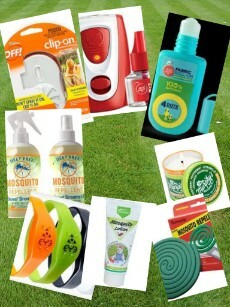 From zappers to catchers to candles to sprays, mosquito repellents come in many forms. But which ones works? Mosquitoes don't just whine in your ear and drive you mad with itching, but they also spread disease to more than 700 million people every year. Everyone's body chemistry is a little different, and some people are more likely to attract unwanted insect advances than others are. Mosquitoes are attracted to carbon dioxide as well as the warmth and humidity you're giving off. Besides all the sprays and lotions that contain mosquito repellent, there are many things that supposedly drive away mosquitoes in the surrounding area. The Global Market for mosquito repellent 2023 offers detailed coverage of mosquito repellent industry and presents main market trends. The market research gives historical and forecast market size, demand and production forecasts, end-use demand details, price trends, and company shares of the leading mosquito repellent producers to provide exhaustive coverage of the mosquito repellent. • MBOX Mosquito Trap Flying Insect Trap Killer. Keywords : Mosquito Repellent Market, Market Share, Market Size, bonafide research, research reports, global reports, DEET, USA, North America, Europe, Asia Pacific, Middle East and Africa, South America, Godrej Consumer Products, Reckitt Benckiser, S. C. Johnson & Son, Spectrum Brands, children, adults.